We are excited to announce that we’ve improved the packaging for jars of our Shine Remineralizing Tooth Whitening Powder. With these improvements, we expect to have a much better seal to keep Shine from leaking from the jar. We’re also thrilled that while Shine previously had a plastic lid, this new lid is metal, which aligns with our company value to reduce our use of plastics for both product production and delivering your order to you. Y’all know that Shine started as a wish. We dreamed of providing our community with a solution that would help remineralize the teeth. We’d already created the HealThy Mouth Blend to help us all navigate to greater oral health by balancing the oral flora and supporting gum health. But we started envisioning a product that could help halt existing tooth decay while also protecting against future decay (and of course, the product would need to do all this without using fluoride or other ‘questionable at best’ ingredients). So we went to work digging into the literature to educate ourselves on the various mechanisms our bodies naturally use to remineralize our teeth. After more than a year of researching, we came up with the primary and secondary focal points for this proposed product solution. First, the product had to help remineralize areas of active decay as well as help protect against future decay. Second, we thought it would be great if the product could offer some gentle whitening benefit without all the risks of conventional tooth whitening. With these ‘help remineralize and offer gentle whitening’ functionality goals in mind, we sifted through the research we’d found and chose the primary ingredients for the formula..
Research was complete, so now it was time to develop some prototypes. So, we had lots of various unmarked bags of white powder in our bathroom. With over 3 years of research and development behind us, we were finally ready to turn to a product chemist to help us develop our beta batch of Shine. He also helped us adjust the flavor to make it a little more palatable. The chemist produced a really small batch of these Shine beta containers for us and we did a quiet product ‘soft launch’ to see what folks thought about it. 82.7% of people surveyed experienced a reduction in tooth sensitivity. Given that Shine contains no pain numbing agents, this suggests that Shine is making the tooth more resilient and remineralized. 82.2% of people surveyed found their teeth whiter after using Shine. And 93.75% of people surveyed would consider recommending Shine to a friend. After receiving this feedback, it was clear that we were ready to head full swing into production of our first flavor, mint Shine. This resulted in the packaging you all have come to know and recognize for Shine. Then we launched our second flavor of Shine (cinnamon), in the same packaging but with a slightly different label. But like many things in life, product production can be a process of trial and error (and then making improvements). This was definitely the case with our Shine jars. When we chose the original amber glass jar and plastic lid combination for Shine, we didn’t know that they were slightly mismatched; there was a super teeny tiny gap between the lid and the lip of the jar. This meant that for a small percentage of jars that we produced, the inner seal (which lays inside the lid, then gets sealed down after the lid is screwed on) did not fully make contact with the lip of the jar. In other words, when producing Shine, every once in a while (about 1 in every 250 jars) the lid/jar mismatch would result in an inner seal that wasn’t fully secured in place. Those of you who have received Shine and found some of the powder leaking out of the unopened jar know what this looks like. It also caused some confusion and raised some questions on whether the loose-inner-seal Shine was safe to use. We knew the product was fine and safe to use because it went straight from our production team who made it, to our fulfillment team who shipped it out, to our customers’ hands. But, just knowing and sharing this wasn’t enough. It’s your–the end user’s–experience that matters most to us. So we knew we had to improve the packaging. We decided to improve on multiple values at the same time, and searched for a lid that would provide us a perfect seal 100% of the time AND that was not plastic. So now, we’re very proud to introduce you to the most recent version of the Shine jar. You might notice that it’s a slightly shorter jar, but don’t worry; the new jar still holds the same 60-gram amount of Shine powder. The shorter jar just means that it appears a little fuller when it’s first opened (with 100% of the product INSIDE the jar!). We’re still planning to improve it one more step and reduce the plastic just a little more. For future batches of Shine, we’re working with our production team to switch away from the plastic shrink wrap around the jar. Instead, there will be a tamper-evident tape down one side of the jar. In the meantime, we’re actively shipping out both flavors of Shine jars (mint and cinnamon) in our newly updated packaging. We are eager to hear what you think of the improvements when you place your next order! Do you already use Shine and know you like it? Would you be perfectly happy with the ‘old’ packaging at a discounted price? We still have some stock of Shine with the previous taller jars and plastic lids, so we’re going to sell them at a discount. If you already know and like Shine and don’t mind the old jar/lid combo, feel free to check out the clearance / ‘perfectly imperfect’ section of our online store. Just so you know, if you purchase jars from this section, you may receive a jar that has the incomplete inner seal we mentioned. Rest assured, the product is still in perfect condition; the loose inner seal is just a production hiccup. Here’s a link to purchase our ‘perfectly imperfect’ jars of Shine. Would you like to share your personal success story using Shine? You know us. We’re testimonial junkies. What can we say? We just really enjoy reading those ‘love notes’ about how you’ve benefited from our products and information. It’s our #1 motivator to keep on this path of providing solutions to assist you along your journey to optimal oral health. So, if you have a Shine success story, please share it with us here. If you’re willing to share a photo of your precious smile too, we’ll email you a gift as our thank you. Here’s a link to the testimonials we’ve received on Shine. And again, here’s a link to our ‘perfectly imperfect’ clearance Shine jars (with the former packaging), in case you’d like to check them out. Thank you for being on this journey with us. 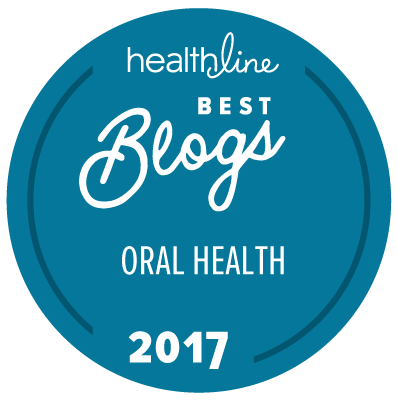 It really is an honor to serve you along your path to optimal oral health. I’ve been using natural products for my oral health since 2012 but recently I developed a bit of a problem possibly due to the over using of activated charcoal to whiten up my teeth a bit or maybe something else. Since the person I’ve been buying the oral products in the last 7 years is not giving me any feedback/advise about my problem, I would be interested to have some feedback from you guys. Should you be interested to hear my story please let me know how and where I can write to you. Congratulations for the nice and healthy products you’re selling and for all the free info you’re putting out by the way, much appreciate it! Thanks for reaching out here. We’re happy to help in anyway we can. We do have opinions on many subjects within the field of oral health as well as the greater field of how oral health directly impacts whole being wellness. Feel free to holler via our email system on the site. Hello, I really enjoy your products, HealThy Mouth and Shine. I’m a consumer that has a mismatched lid which I discovered after traveling. Now when I travel I use plastic wrap over the top to avoid leaks, works but not 100%. Thank you for your upgrade. I also started using the concave back of a metal teaspoon handle to scoop out the Shine product. The wooden scoop must have become damp because I was suddenly seeing clumps. I’ve written in about this before. At one time I had a small spoon to dispense salt from a salt dish that would have been perfect for scooping the Shine product. If you could replace the wooden spoon even though it is environmentally friendly with something that won’t absorb even a small undetectable amount of water, that would be a help. Thank you for your time. Even though our primary intent behind Shine was to support our body’s natural ability to remineralize tooth decay, we are really proud of the secondary benefit of gently whitening teeth too! Since I grew up in the generation that encouraged honey in a baby bottle, “penny candy” and a daily candy bar in my lunch box….I have had cavities my entire life! I just became used to yearly shots of novacaine! Since making a healthy lifestyle change 6 years ago which also included dental awareness & health, I began using Ora Wellness Healthy Mouth Blend and most recently “Shine”! I can’t remember the last cavity & I even receive compliments from my Dentist & hygienist on how healthy my teeth & gums are! My husband & friends compliment my smile & white teeth consistently! Thank you Ora Wellness….couldnt have done it without you! I first encountered OraWellness through the Heal Thy Mouth blend. I loved the way my mouth felt after using it and enjoyed not making my own toothpaste! My gums are healthier than they’ve ever been. I was going to start making my own toothpaste again to heal my teeth and remineralize them. I was happy to find the Shine tooth powder instead! I also love the way my mouth feels after using it and sensitivity has decreased with use! I look forward to continuing results! I’ve been making my own tooth powder for over a year now, with good results. I’ve also tried other natural tooth powders that were just okay. I decided to try Shine because I used OraWellness Healthy Mouth Oil alongside my toothpowder and on my floss with amazing results, that even my dentist noticed right away. Shine is just amazing. It’s a step beyond my own tooth powder that I make. I thought it couldn’t get any better than my own homemade, but Shine is something very stellar! I noticed a difference after just a couple of times of using it. My teeth are brighter and whiter and I love the taste as well. The bright smile I have now makes me look a lot younger than I really am! Who doesn’t want that??! I still use the Healthy Mouth oil on my floss and I use it in water as a rinse, but Shine does everything and more that a tooth powder should do. So happy with the results! I just want to say thank you for once again taking time to make a beneficial and safe product! The Shine powder is amazing of course. It’s not overpowering in flavor and not a gritty feel at all. I really appreciate the fact that it can be applied many ways as suggested and also turned into a paste for a thicker application. I’ve been making my own tooth powder for years, but I was surprised that my teeth were still turning yellow! There seemed to be quite a thick stained layer especially on my front two teeth. I thought a dental hygienist would need to scrape it off for me. But after using Shine for a few days my teeth felt really smooth and noticeably whiter. Now after a few weeks I am so excited about the results! I do not need anyone to polish my teeth. This stuff is awesome!!! It is remineralizing my teeth and making them SHINE! OraWellness has become a trusted name in our household. We are so appreciative of the education and high-quality products they provide their customers. After noticing a marked difference using the HealThy oil blend as well as the Bass brushes, I was eager to try the Shine tooth powder. I had been making my own powder successfully in the past, but realized I needed to use one without bentonite clay due to having a permanent metal retainer. The minty Shine powder leaves my mouth feeling fresh. I am already happy with the results thus far, and have noticed that it has a gentle whitening effect, as well as contributing to lessened sensitivity on my back molars which I target first with each brushing. I look forward to its continued benefits as I brush with it in the coming months. Thank you for your excellent product!